I have a disclosure to make: I am, and always have been, a devoted fan of Broadway musicals. With that confession off my chest, I can sing out loud about the cultural and medical importance of this day: a little-known musical comedy depicting the life, trials and tribulations of a young physician. On the evening of Oct. 10, 1947, 69 years ago, this “medical musical” opened on the Great White Way and it was the hottest ticket in town. No wonder! The show was written by the greatest double act in the history of American theater, Richard Rodgers and Oscar Hammerstein II. Only a few years earlier, they took the world by storm with the mega-hits, “Oklahoma!” (1943) and “Carousel” (1945). The title of their 1947 production was “Allegro,” a musical term for a brisk and lively tempo. Alas, “Allegro” ran for only nine months, a mere fraction of the long runs for their previous two smash sensations. The production costs were so high and, once the bad reviews came in, the ticket sales so low that the play closed after 314 unprofitable performances. Since that final curtain rang down, “Allegro” has been relegated to a towering pile of all-but-forgotten musicals, only to occasionally pop up its libretto and score. For example, “Allegro” had a brief off-Broadway revival in New York City in 2014. More recently, this past August and September, the show enjoyed its first “full professional run in Europe” at the Southwark Playhouse on London’s South Bank. Corny by an ear or two, and accompanied by Rodgers’ least-inspiring tunes, Hammerstein’s libretto explores how professional success can disrupt, and even preempt, one’s personal growth. Corny by an ear or two, and accompanied by Rodgers’ least-inspiring tunes, Hammerstein’s libretto explores how professional success can disrupt, and even preempt, one’s personal growth. 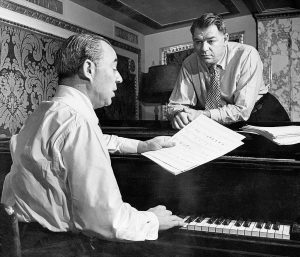 In almost every scene, Hammerstein emphasizes the importance of seeking personal happiness over material or professional gain. “Allegro” was probably Rodgers & Hammerstein’s most experimental play. The musical tells the life story of Dr. Joseph Taylor Jr. It begins with his birth in 1905 and proceeds until he is 35. Astute theater aficionados will detect a few psychological-dramatic techniques used in Eugene O’Neill’s “Strange Interlude” (1928) and Thornton Wilder’s “Our Town” (1938). 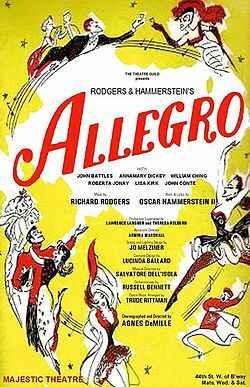 “Allegro” was also an extraordinarily complex production, with a cast of 78, an orchestra of 35, elaborate, mechanical, rotating flats, curtains, and platforms, lantern slides, four ballet sequences, 500 lighting cues, and a singing “Greek chorus” that follows Joe around ever ready to break into musical song (and commentary). The curtain opens with Joe’s birth in an unnamed, Midwestern, all-American town. In short order, the audience is introduced to Joe’s mother, grandmother and father, Joseph Sr. The patriarch is a small-town doctor working uphill to build a modern hospital and deliver the best health care to the poor patients of his community. Little Joe, of course, is slated to be his father’s successor in this clinical quest. Much of the first act depicts Joe’s early childhood, school days, college years, and his awkward courtship (leading to his eventual marriage) with his childhood sweetheart, Jenny Baker. The problem, or dramatic conflict, is that Jenny wants Joe to abandon the idea of joining his father’s small town practice and, instead, move to the big city for a better life and a better (read, more lucrative) living. Convinced that her son is marrying the wrong woman, Joe’s deeply disappointed mother conveniently dies of a heart attack. Upon returning from the intermission, the audience learns that Jenny wins the battle. After being offered a prestigious internship at a big city hospital, Joe Jr. breaks his dad’s heart metaphorically, collects his medical diploma, and leaves for a new job and a new life. Rodgers & Hammerstein’s rarely performed medical masterpiece is a musical warning about the costs of placing career advancement and money over the goals you know in your heart to be the right path. Amid the glittering lights and fascinating people of the big city, Joe and Jenny attend a whirl of parties and ribbon cuttings, all the while soliciting donors to fund new patient pavilions at the hospital. Although Joe makes a mint giving vitamin injections to the worried (and wealthy) well, Jenny feels neglected and occupies her time by having an affair with the chairman of the hospital trustees. In an inspiring coda, Joe turns down a promotion to physician-in-chief of his hospital, leaves the odious Jenny, and, instead, opts for his true destiny as a healer, back home in the town where he was born and where he can do the most good. A powerful hospital trustee explains Joe’s resignation to a reporter by telling him that Joe is “sick.” Joe, overhears the remark and rejoins, “Tell them I’m just getting well.” The Greek chorus swells, albeit in a manner more inspired by Tin Pan Alley than the Pythian road, as the stage directions prescribe that Joe “walk away, out into the sunlight,” joined by his adoring nurse, Emily (who sang the musical’s one remembered song, “The Gentleman is a Dope,” after Joe nearly misdiagnoses a patient with a stomach ulcer), and his best friend, Charlie Townsend. I may whistle tunes from “Carousel” and “Oklahoma,” or even “South Pacific” and “The Sound of Music,” but it’s the clunky yet profound “Allegro” I would most like to prescribe for my students and colleagues. 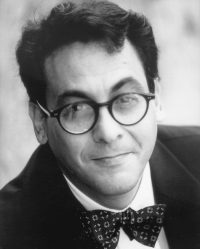 Years later, in talking over the show with Oscar—I don’t think I recognized it at the time—I realized he was trying to tell the story of his life … Oscar meant it as a metaphor for what had happened to him. He had become so successful with “Oklahoma!” and “Carousel” that he was suddenly in demand all over the place. What he was talking about was the trappings, not so much of success, but of losing sight of what your goal is…to the end of his days Oscar said, “I want to rewrite the second act of Allegro so people will understand what I was talking about,” because all the critics pounced on it as being a corny story, the doctor who gets corrupted by money. That’s not what he meant. It wasn’t about money; it was about losing sight of your goal. Sondheim is a shrewd judge of both theater and character. Rodgers & Hammerstein’s rarely performed medical masterpiece is a musical warning about the costs of placing career advancement and money over the goals you know in your heart to be the right path: valuing and acting upon a set of honorable principles and developing and supporting loving relationships with other people. During my walks to the medical school where I teach, I may whistle tunes from “Carousel” and “Oklahoma,” or even “South Pacific” and “The Sound of Music,” but it’s the clunky yet profound “Allegro” I would most like to prescribe for my students and colleagues.